This reflection on 'mobility' addresses an experience many people face, including those just beginning their careers. 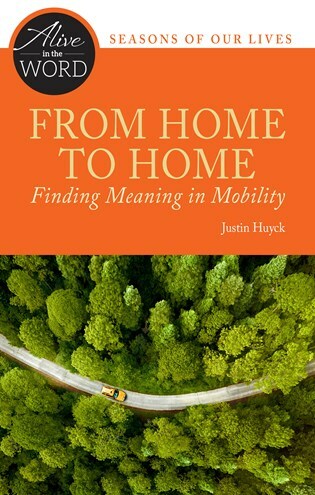 Justin Huyck draws on his own experience and theological insight to reflect on a series of apt biblical passages from the journey of Abraham in Genesis 11 to the refugee experience of the Holy Family in Matthew's gospel. It is well written, beautifully illustrated, and perfectly geared for individual or group reflection.